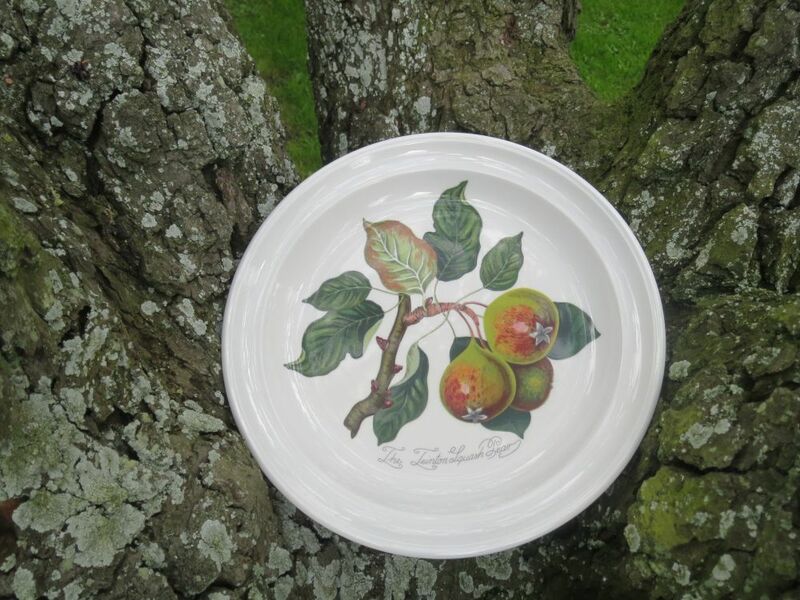 Pomona was launched in 1982, with pictures from the English Pomological Magazine from the early 1800s. 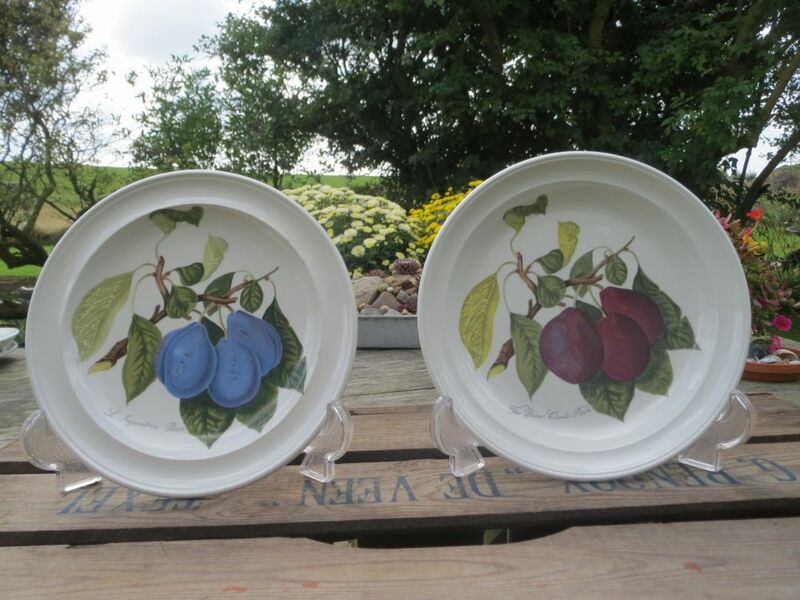 They are hand-coloured engravings with very vivid colours. 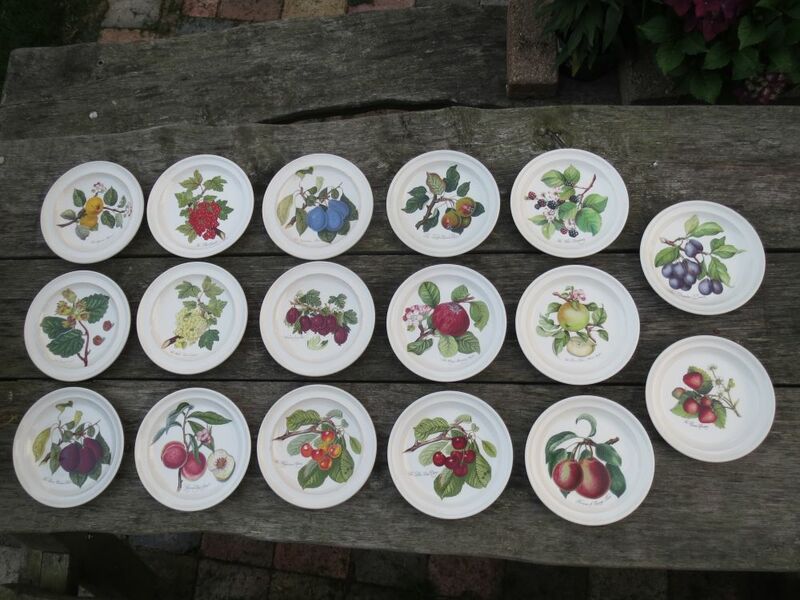 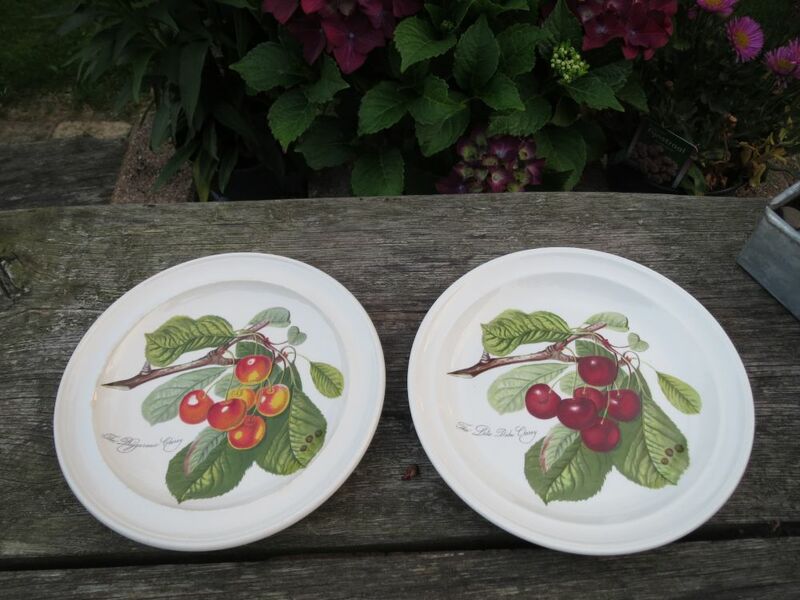 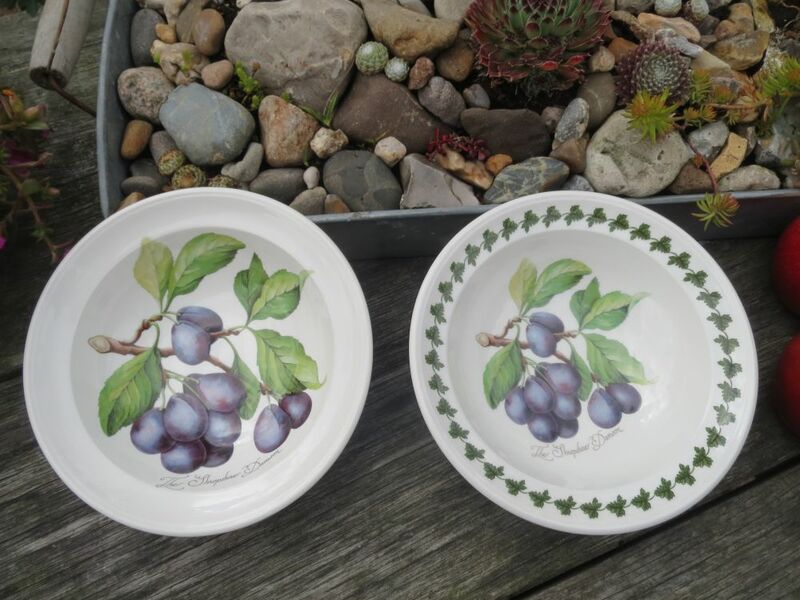 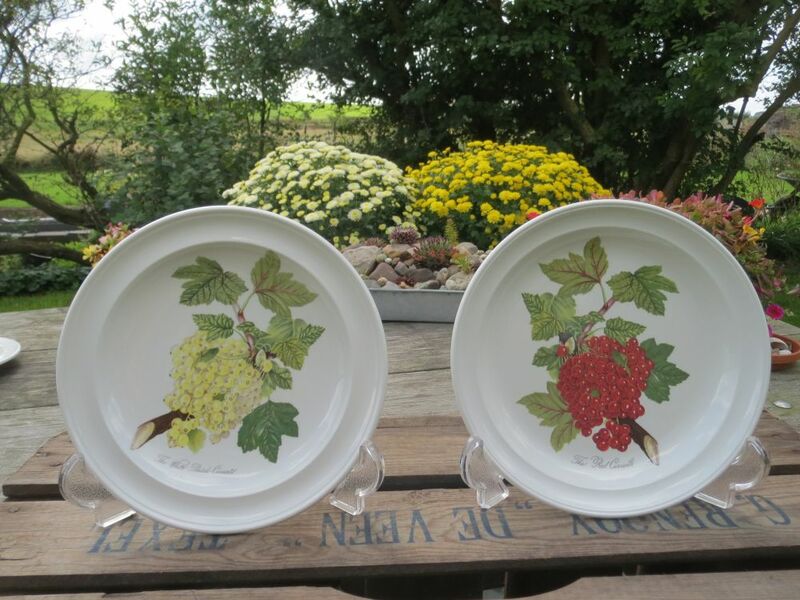 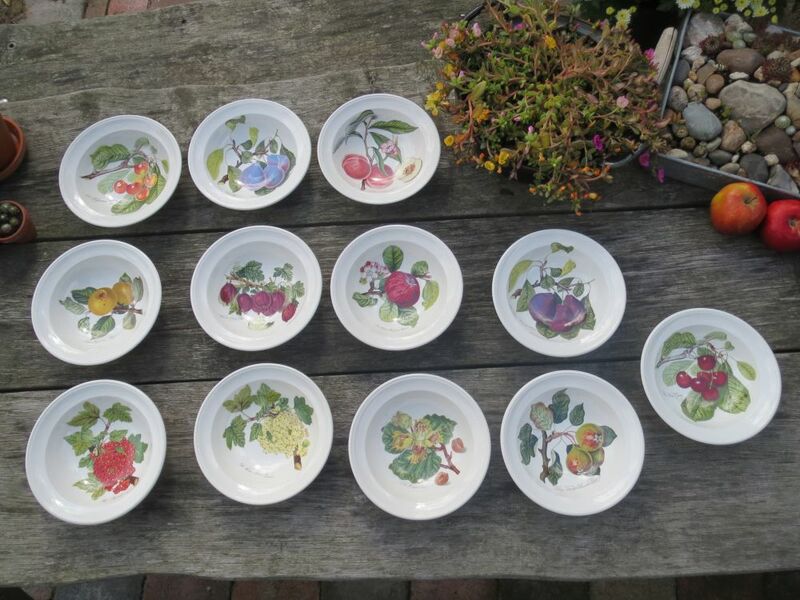 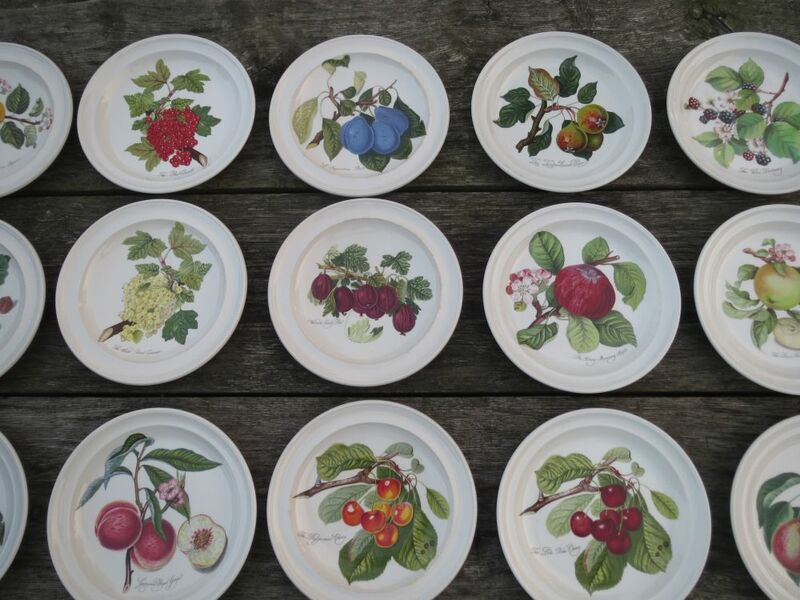 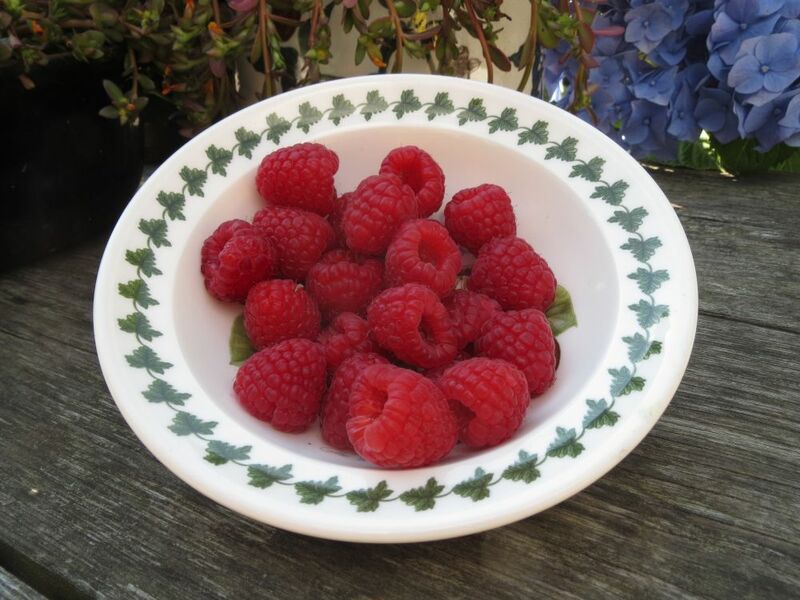 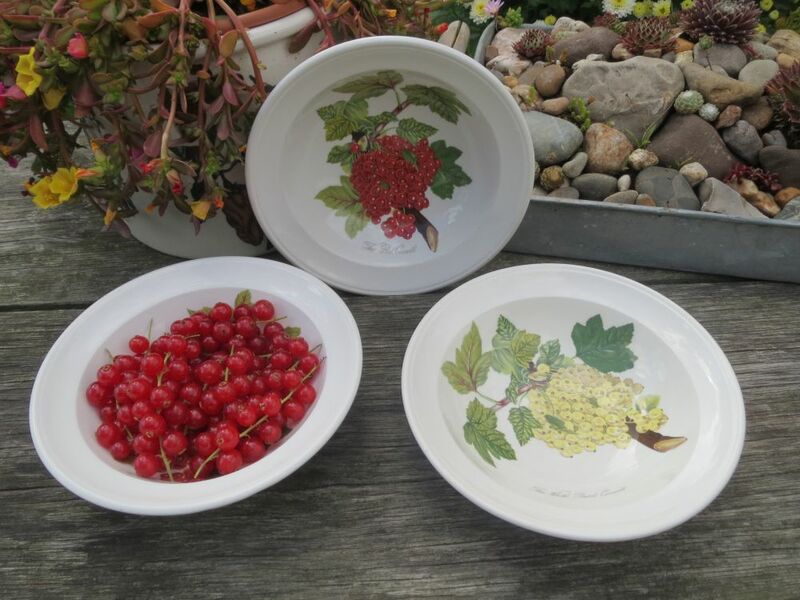 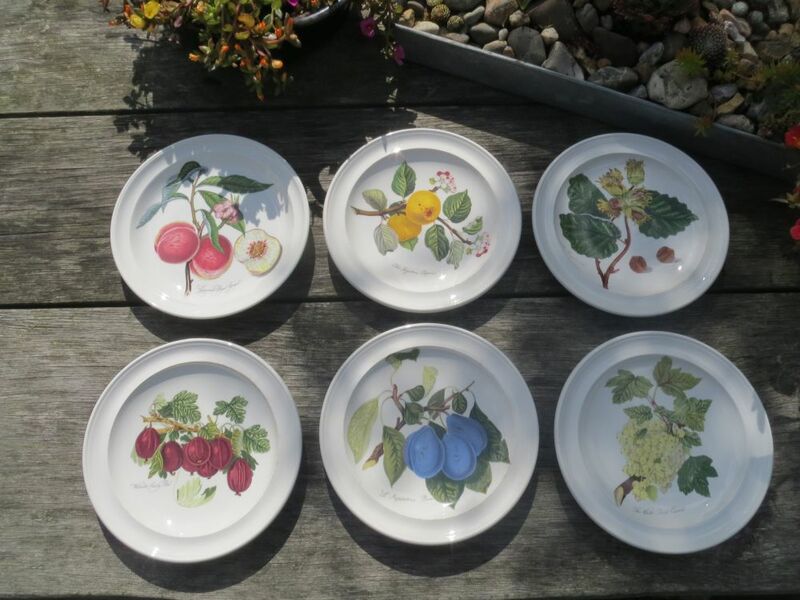 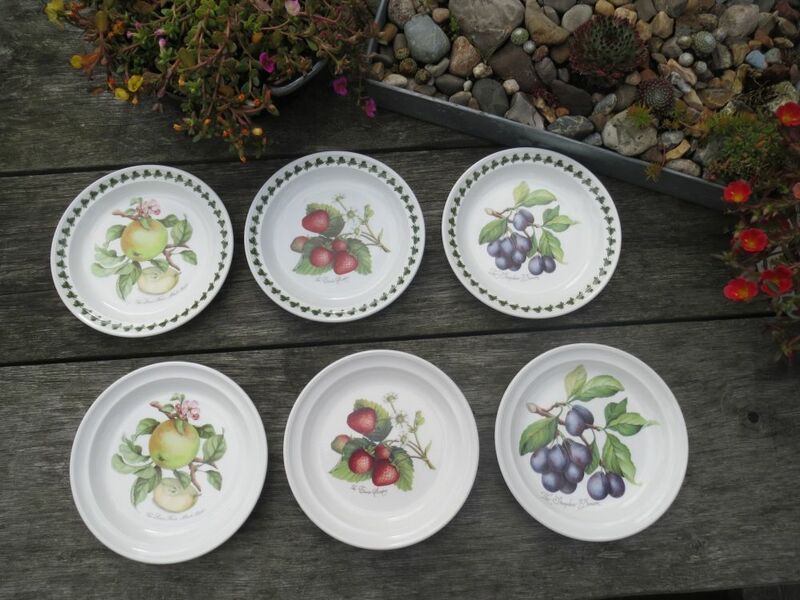 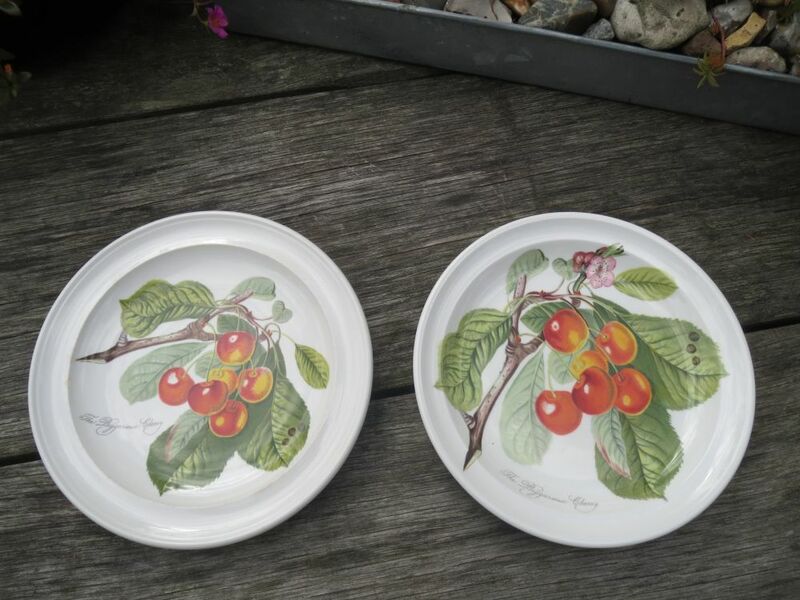 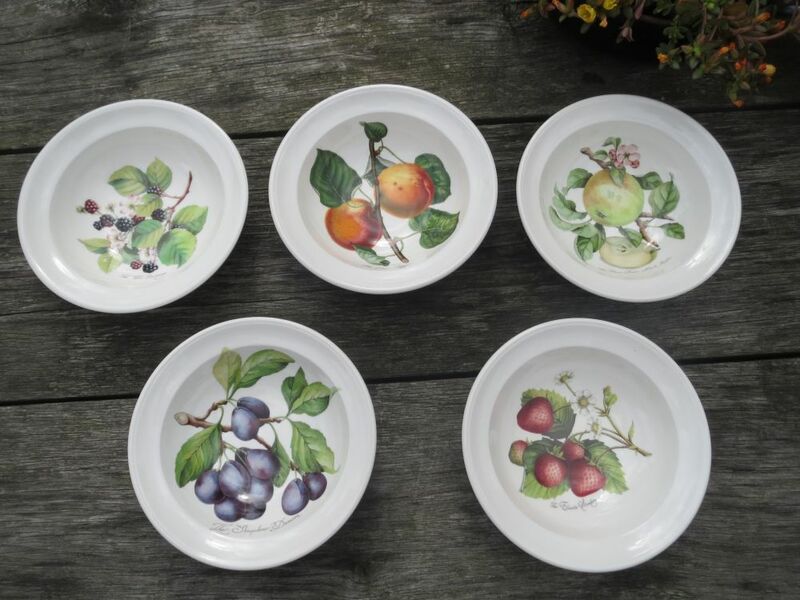 The motifs on these six 7 inch plates are: Grimwoods Ruyal George, the Ingestrie Pippin, the Hazel Nut, Wilmots Early Red, L’Imperatrice Plum and the White Dutch Currant. 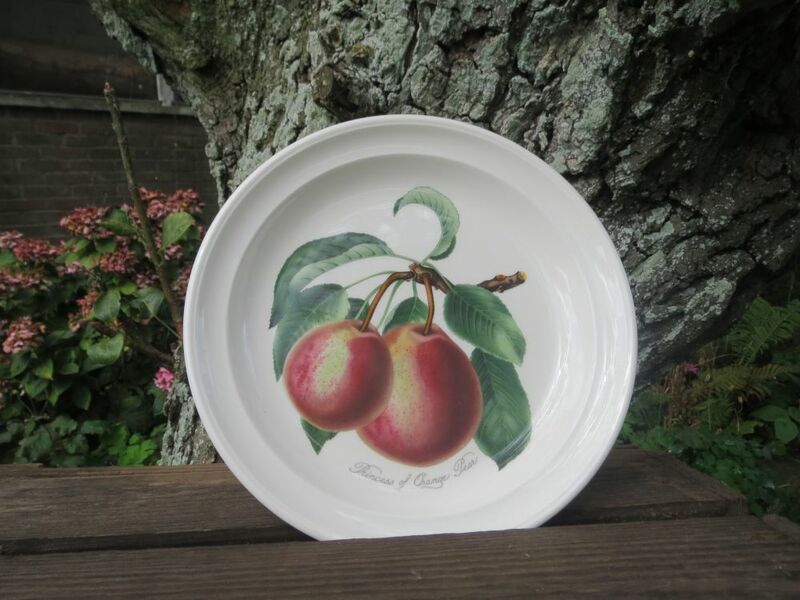 The Biggeraux Cherry looked unripe and was therefore replaced by the Late Duke Cherry. 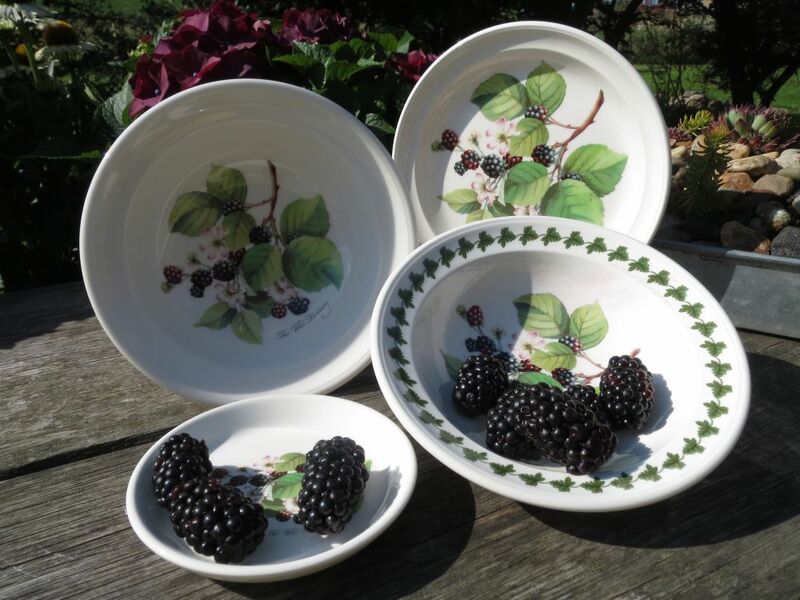 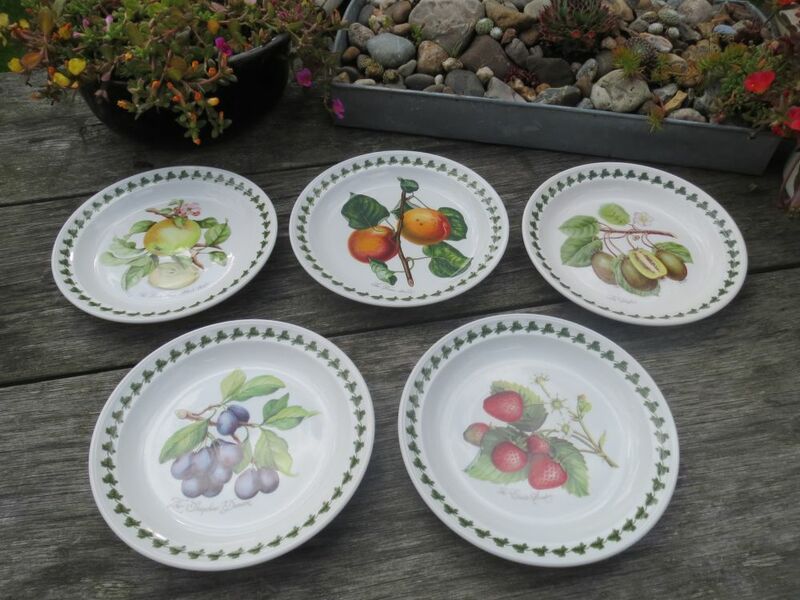 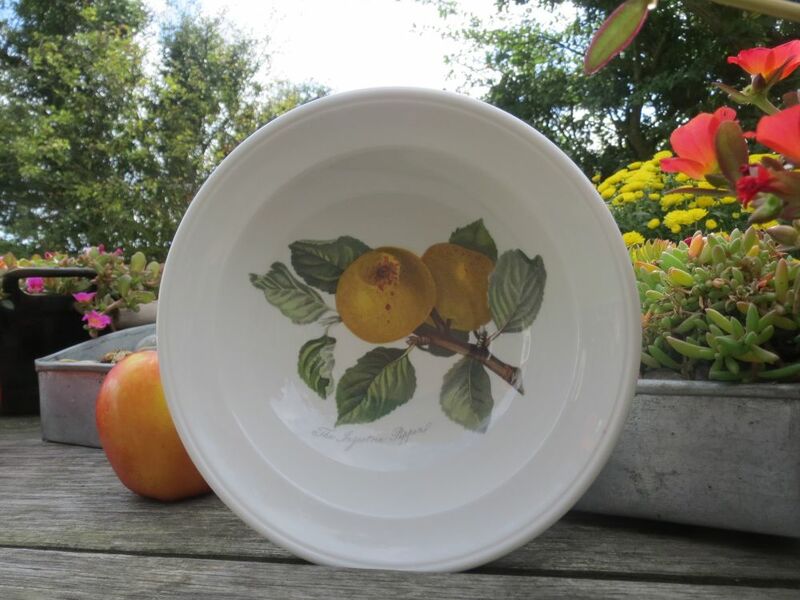 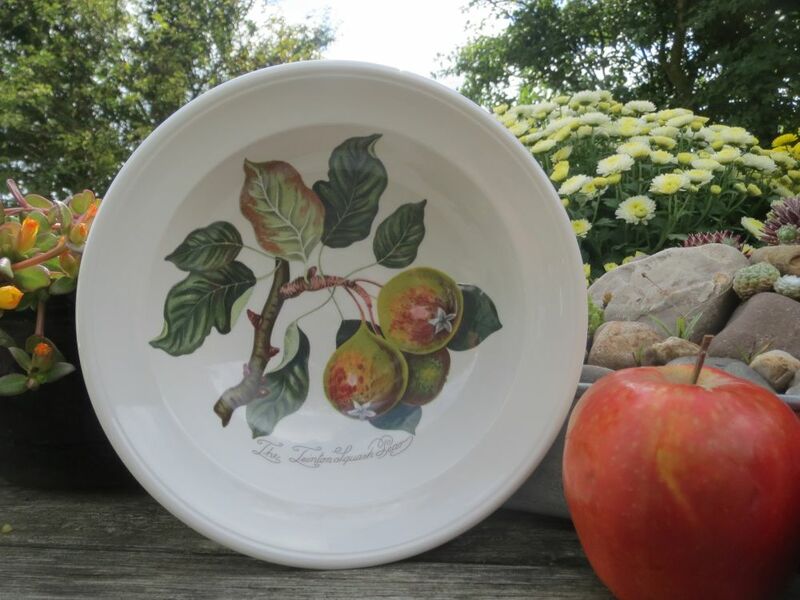 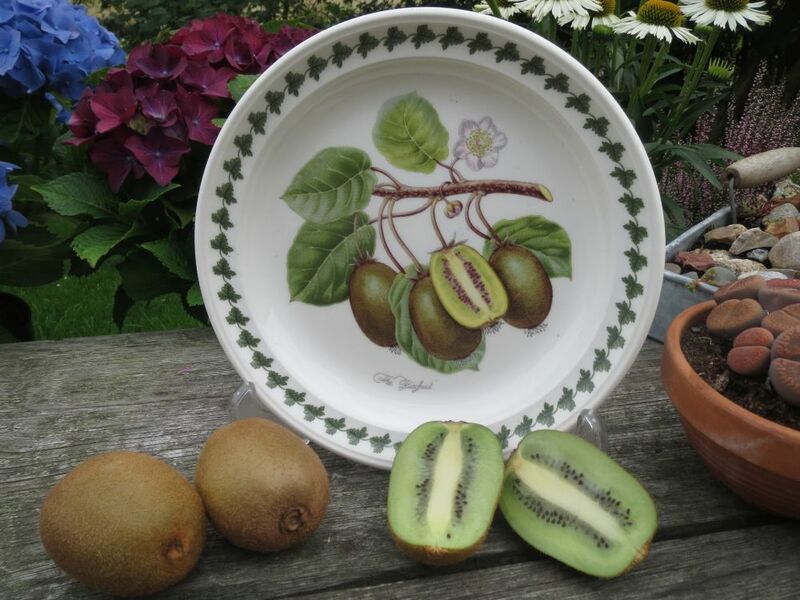 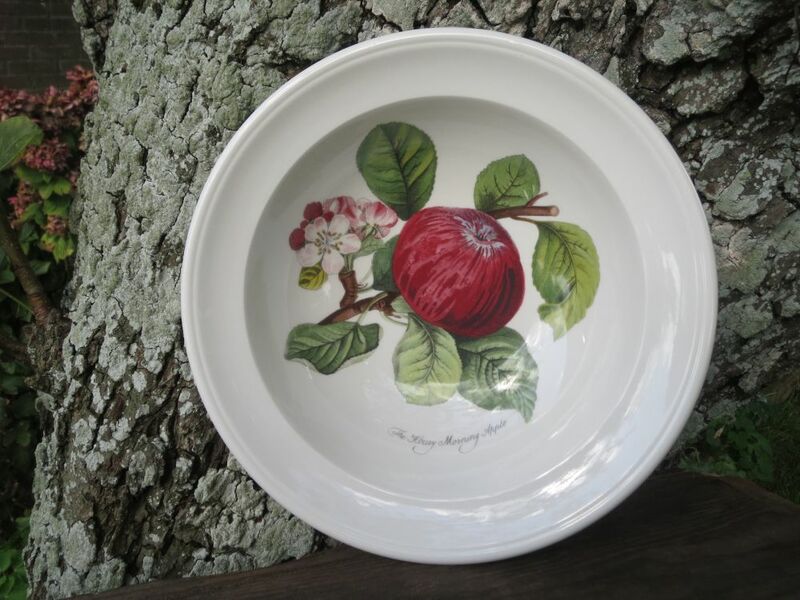 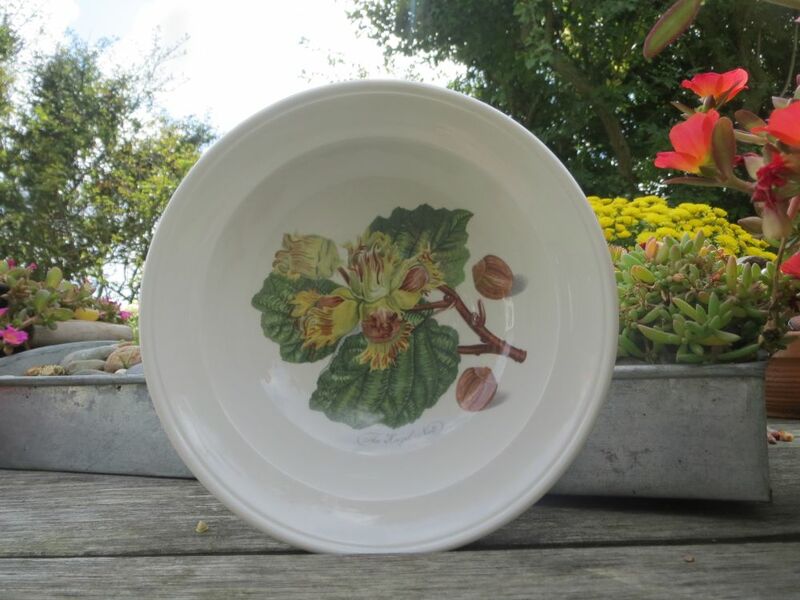 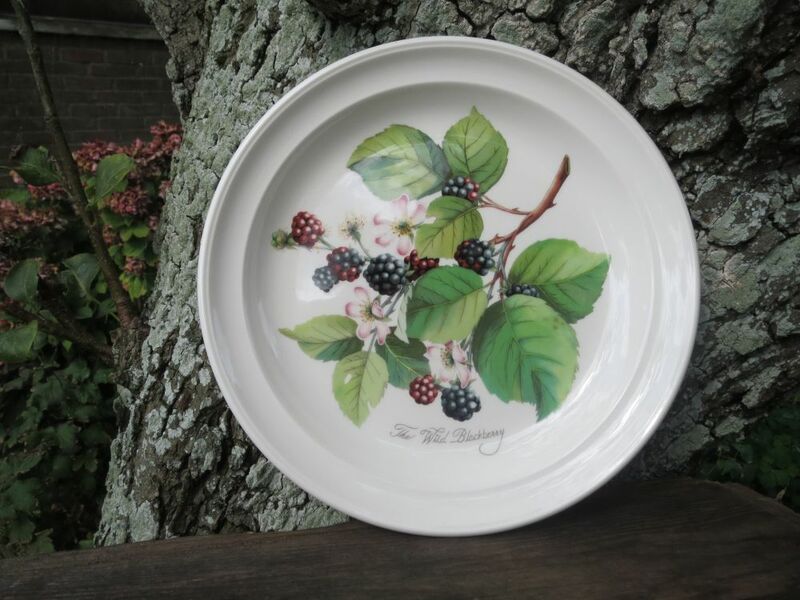 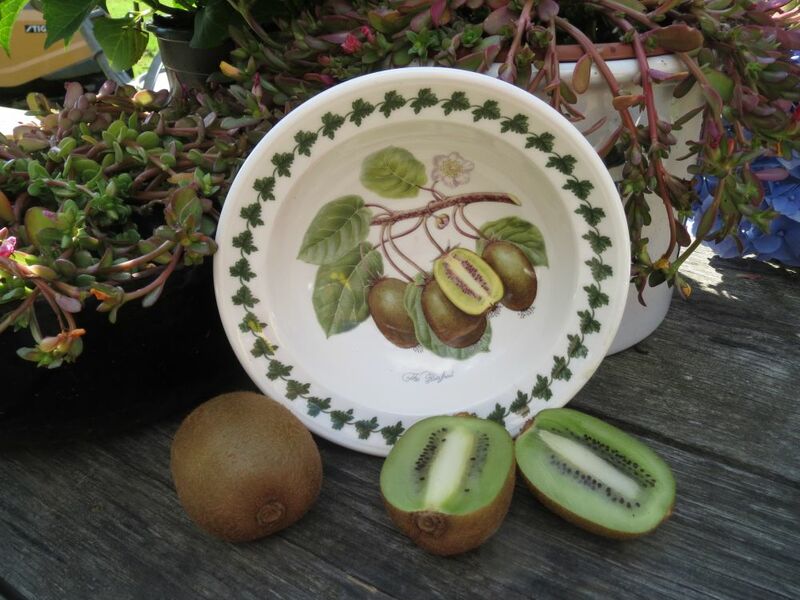 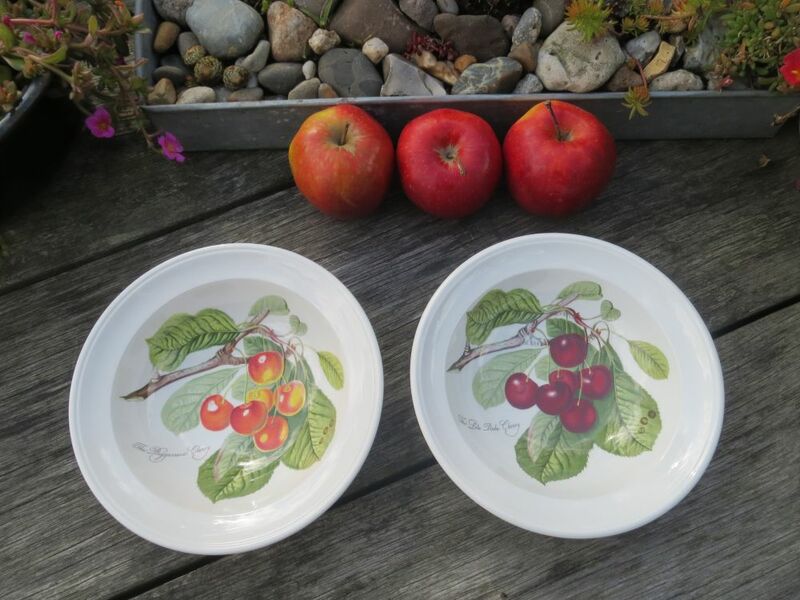 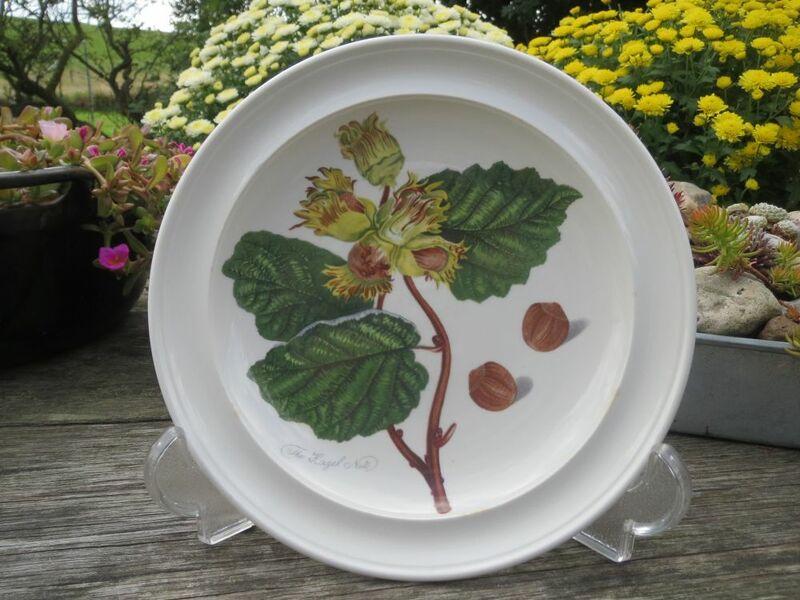 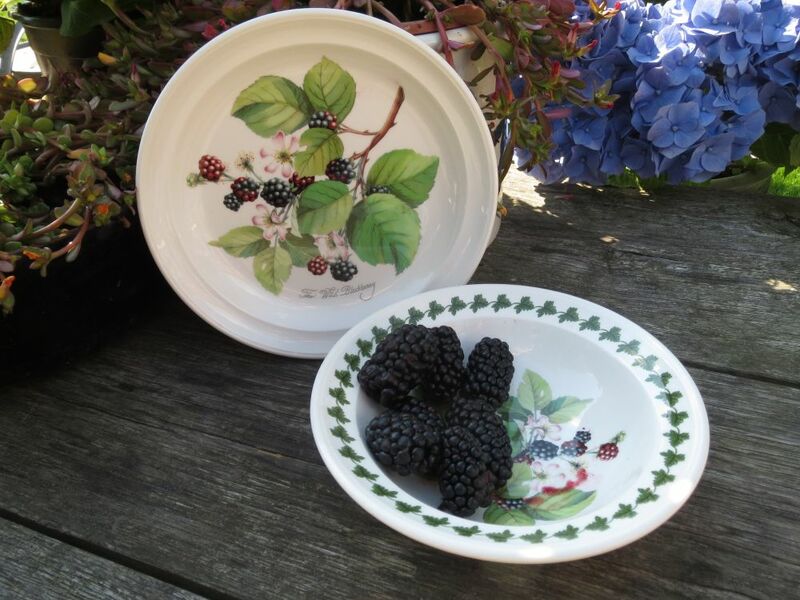 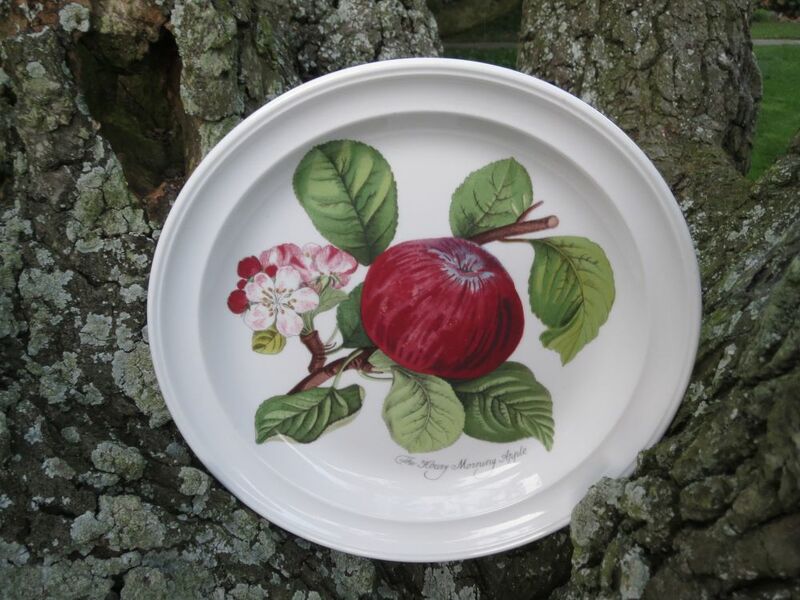 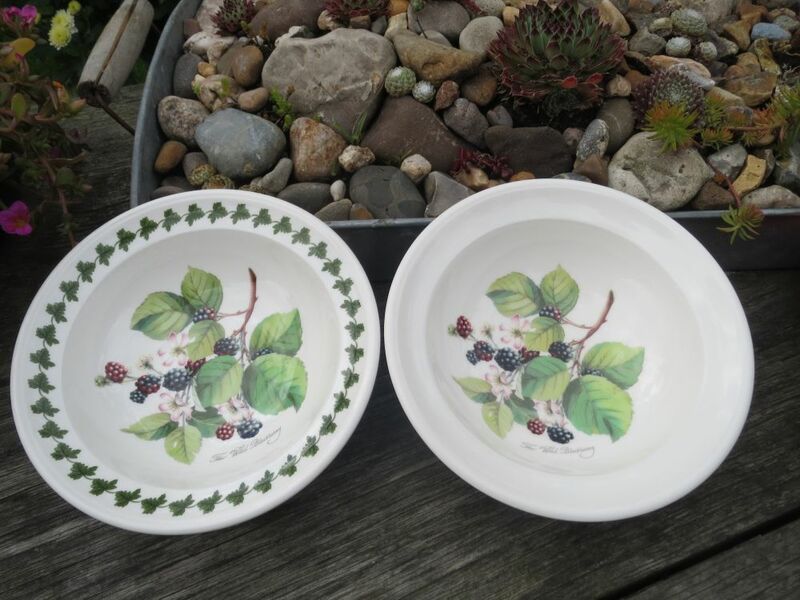 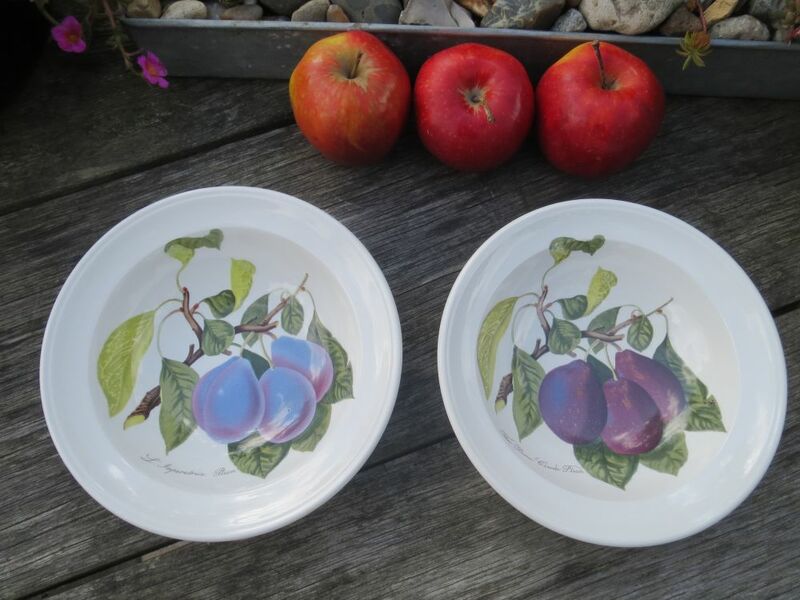 Later motifs on plates with a leaf border are: the Lane’s Prince Albert Apple, the Roman Apricot, the Kiwi, the Shropshire Damson and the Elsanta Strawberry.